Cheers to you Richard Lawrence! Each of us has a person in their life that has left a permanent impression on them, impacting them on such a level that their presence remains, even in their absence. For me, Richard Lawrence is one of these people. Richard was a friend and colleague whose presence in my life will forever influence who I am. A gifted composer and musician, Richard could connect with you with the first note to emanate from his violin. As the Music Director of the Arcangelos Chamber Ensemble and founding Music Director for Advanced Brain Technologies I had the honor of working with this man for many years. In those years he created music which has and will continue to touch countless people worldwide through The Listening Program®, Sound Health®, and Music for Babies™. Today is Richard’s birthday, and while he is no longer physically with us to celebrate, his spirit lives on, through fond memories, and the beauty of his music. If you knew Richard or have been touched through his music, please share a memory in the comments. There are so many fond memories I hold of Richard. I know that he touched a special place in everyone’s heart. I love thinking about how much he adored and cherished his lovely wife, Dorothy. Their connection and affection for one another is one of my favorite memories. I always felt inspired to be a part of the creative genius Richard and Alex shared. When an idea was ignited by either of them, an exciting rush of energy and enthusiasm was sure to follow. It was so apparent how much they truly loved working together. I shared my first trip to NYC with Richard & Alex…so many wonderful times to think upon with a smile. Yes, Cheers to you, Richard!!! Wonderful post Alex, to our dear dear friend who still holds such a sacred place in our hearts! 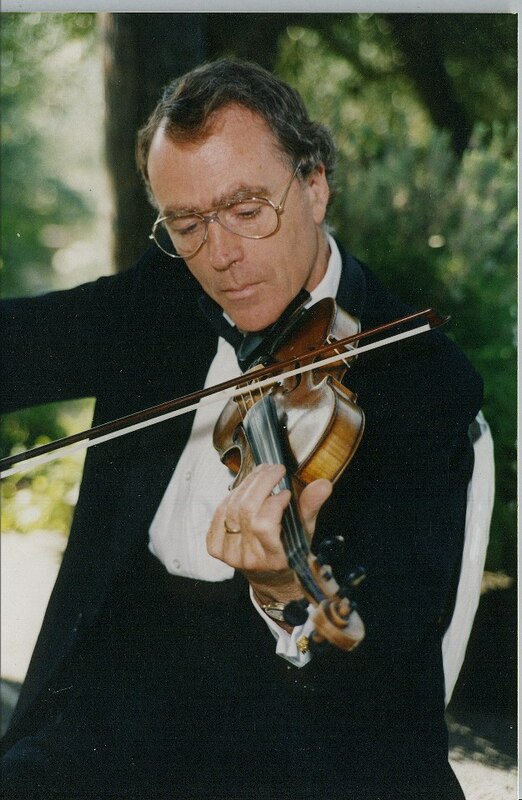 Richard was my first and only violin teacher – such a great man, wonderful musician, and an inspiration. I am sorry to hear of his passing. Yes, Sharla Lee, Richard was a great man, dear friend and colleague who I miss greatly.